Fans of the God of War franchise are eagerly awaiting the arrival of God of War: Ascension. Well, you can get a plain old copy of the game or you can get the God of War: Ascension Collector’s Edition. Yeah, I would go with the latter as well. 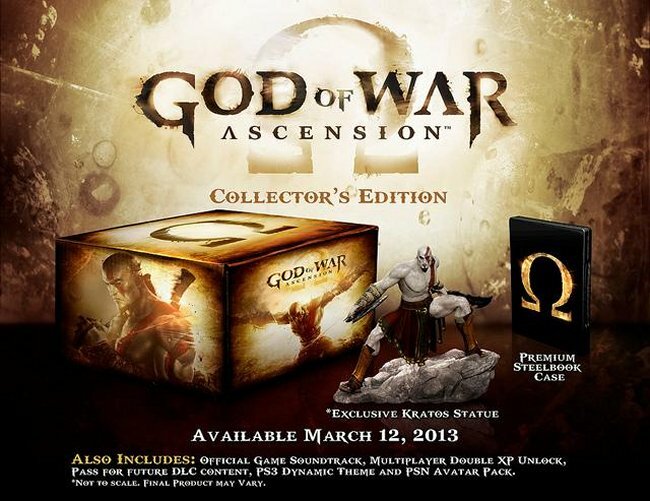 The God of War: Ascension Collector’s Edition will cost you $79.99. Is it worth it? Well, if you placed a pre-order for either version, you can get the Mythological Heroes Multiplayer Pack, letting you play as your favorite Greek hero in Multiplayer mode. If you choose the deluxe edition you also get all of the goodies listed in the image above. Seems worth it to me. I love these games.